At the 2016 World Beer Awards, held in London, three beers from Brasserie St. Feuillien – including Triple – were recognized by an international jury of experts, who blind-tasted over 1,500 craft beers from 32 countries. St. Feuillien Triple has a very strong and exceptionally lingering taste thanks to its density and its long storage period - overall rating of 97 pts – with 98 pts for style. The Brasserie St. Feuillien Triple beer has a white, smooth and very compact head. Its pale amber colour is very characteristic revealing a distinctive maltiness. It has a rich aroma with a unique combination of aromatic hops, spices and the typical bouquet of fermentation – very fruity. Secondary fermentation in the bottle gives it a unqiue aroma due to the presence of yeast. St. Feuillien Triple has a very strong and exceptionally lingering taste thanks to its density and its long storage period. 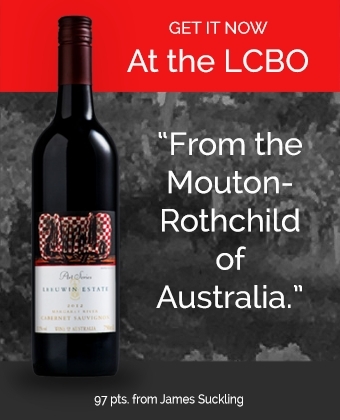 Available at the LCBO end of February 2017.